I do believe the bracket will be readily available from MSD. I don't know if they are going to put it in with the intake, or offer it for sale on it's own. 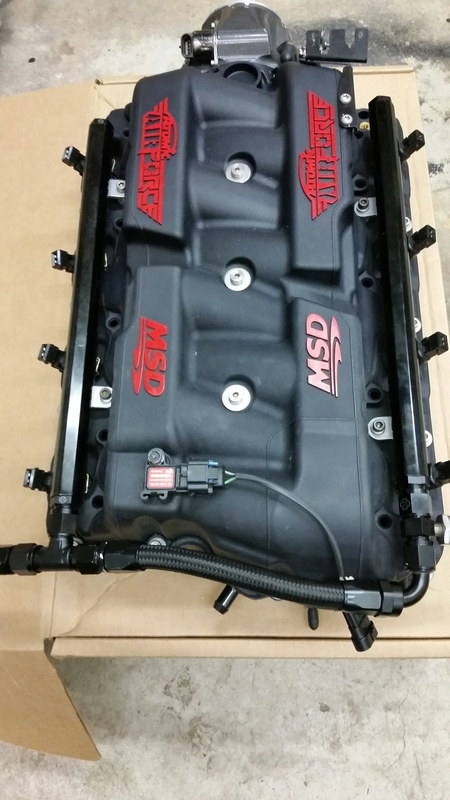 Fact is, everyone is moving to the electronic throttle bodies, even in retro setups, so for them, the market with with cable throttle bodies isn't growing, but that's for their marketing department to figure out. I agree 100%. 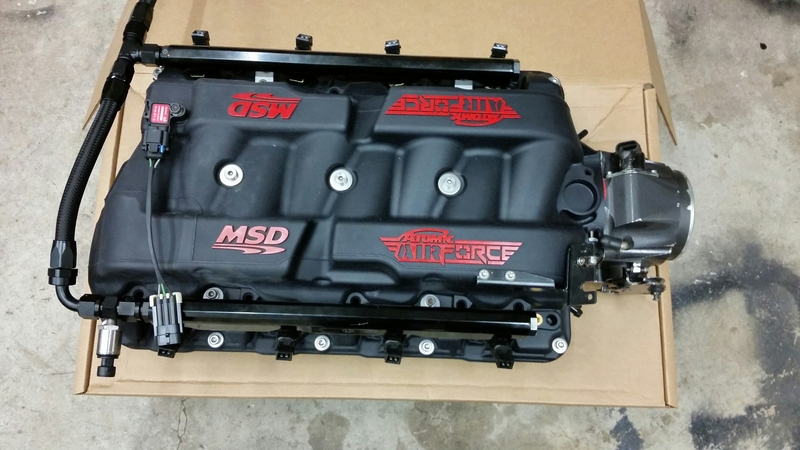 If you're going to make an intake, then put the parts on it that allow it to work on all applicable applications. I understand about people moving to electronic TB's, but allow it to be a "selectable" option when you order the intake. Nothing more frustrating than getting a "bolt on product" that you have to "jerry-rig" to get to work. It's a balancing act. If they include it in the kit, people who have electric throttle bodys will complain that they are paying extra for something they don't need, and if they exclude it, people will complain that they have to buy something else. I'm not sure how they are handling it, but I'm sure it will be readily available for anyone who needs it. You may be going backwards, but you'll be outrunning everyone when it's all said and done. I had this conversation with my cousin a couple months back. He just got done driving his mom's fifth gen SS and asked me if he could drive my T/A. He couldn't put his finger on why he liked the feel of my car more. Then after we talked for a while we both agreed that it's because mine has the cable and the fifth gen has the electric throttle body. It feels much more natural to both of us. I love the instant, positive feel that a manual transmission car with a procharger and a cable throttle gives. At 2500rpm, idling down the road, you get such a sudden hit of power the split second you roll into the throttle and make an instant 2-4psi of boost. Man I can't wait to get the car running. I hear that. I know the feeling. well, I got the fitting for my fuel pressure sensor yesterday. I bolted everything up, connected the battery and primed the fuel pumps, and sure enough, leaks. 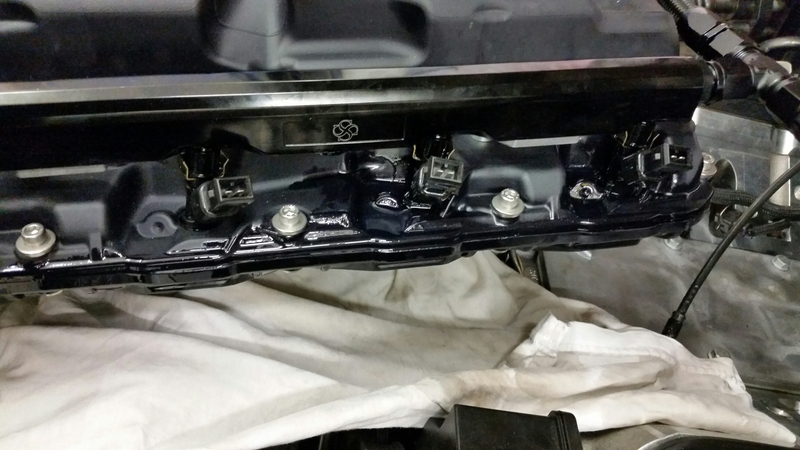 It's always a good idea to pressure test everything before you install the intake manifold. Turns out, I forgot to swap the top orings from ls1 to ls3 style. 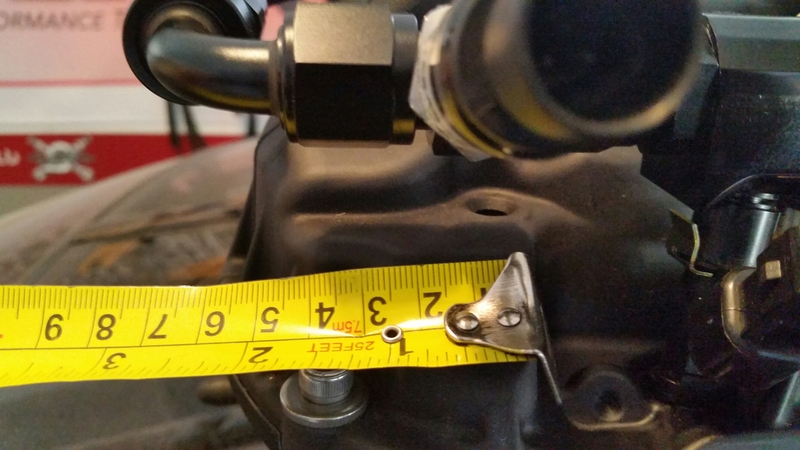 Can you do a measurement of how far the manifold protrudes behind the rear most passenger side intake mounting bolt that goes into the head? In my Mustang I have the engine set back so far there is only about 3/8" between the firewall and the rear of the pass side head. I cannot fit a FAST because it will hit the firewall, and I suspect that the MSD will be the same, but with a measurement I could figure it out for sure. a little unrelated to the intake but what rails are those and where did they come from? same goes for the braided lines? From day 1 looking at this intake I was wondering how they could possibly get a cable throttle body to work since the pass side plenum is in the way. That bracket btw, lmao! That's slap yo momma ugly! If pretty is what you are after, I'm sure you can make a custom bracket that looks pretty and use a Lokar cable. Me, I'm happy that it works perfectly. Is the bracket definitely going to be available for sale? Thinking about picking up one of these eventually. 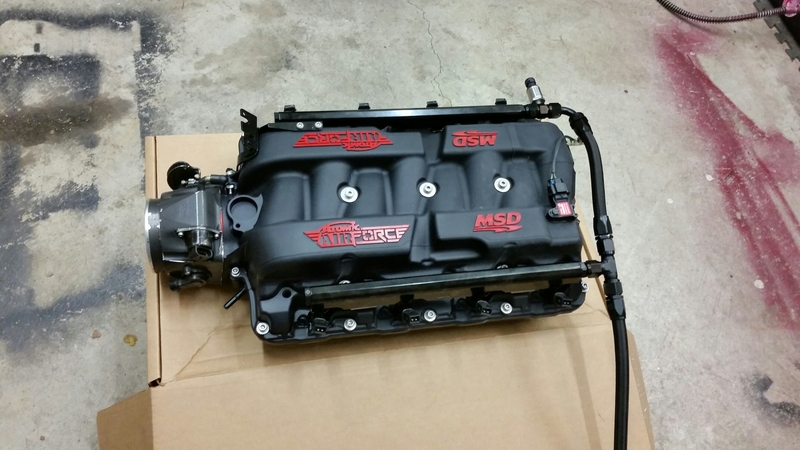 As far as I know, it will be readily available through msd, either on its own or as an option when you buy the intake. They even included an installation diagram and instructions with it. You say pretty, I say neat, clean and oem looking. 5 bolts for a throttle cable bracket to hold it what looks like 2 inches above the intake has me scratching my head. I get it, yur happy to even have it and I'd feel the same at this point. How that fits with an oem hood is the big question. Or a WS6 hood like mine. I wouldn't want that cable rubbing the hood either even if the bracket doesnt hit it. Hmmmm, I wonder.